Registration is now open for our In-House Spring Futsal League! 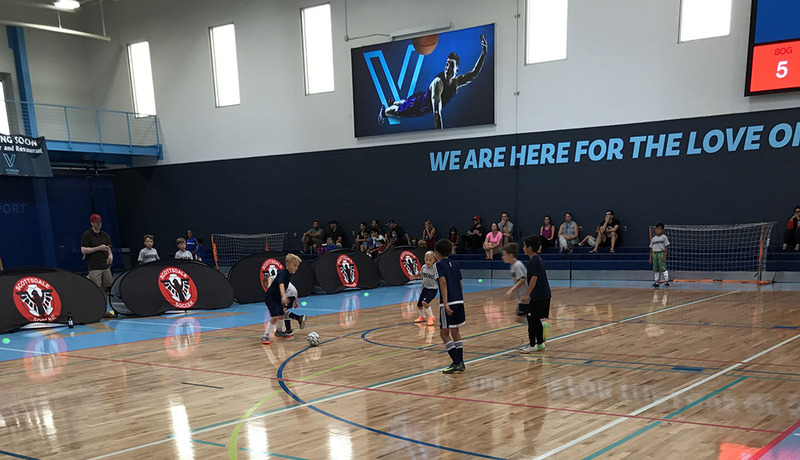 The league will begin on Sunday, April 15th, 2018 and will be played at the amazing North Scottsdale futsal facility, Victorium. This state of the art facility boasts two lined regulation sized courts that will allow our participants to have a true futsal experience. You can sit on the brand new 300 seat bleachers or watch your player from the restaurant/bar that sits high above the courts. This league is open to all 2011-2004 boys and girls Blackhawk players. This is not a “coached” league, meaning that all teams are independently formed and run by a parent manager. This league is all about giving players the opportunity to experience the game of futsal while growing your technical skills in a fun and challenging environment. Open to 2011-2004 competitive boys and girls teams. Every team must have a designated team manager that is the point of contact for all league communications. The manager must register the team all at once and mail a check on the team’s behalf. Feel free to make teams with any other players in the club. Players can play up but not down. Coed teams are allowed! During registration you will be asked for your futsal league team name (does not have to be your club team name), jersey color, age group, team manager contact info, and player names/birth year/current Blackhawks team coach for each player. There will be no individual player registration, but efforts will be made to match single players with current teams when possible. Black out requests will be taken in to account and every effort will be made to accommodate them. Teams have the possibility of double headers on any given weekend. 2, 20 minute halves with a 2 minute half time. 4 seconds for every kind of restart, if over 4 seconds the ball will be turned over. Goalkeeper may only handle the ball (with hands) inside their penalty area and only for 4 seconds. Goal kicks and corner kicks will be played with a 4 second time limit. Kick-ins from the side instead of throw-ins. Penalty kicks awarded for severe fouls in the penalty area (taken from the top of area). Indirect kicks awarded for all fouls outside penalty area (ball must be touched by kicker and one other player before any shot on goal). Once touched the ball is live. No sliding (except for goalkeepers making saves inside of penalty area). Shots may not be taken and goals may not be scored unless the player with the ball is over the half line, if violated the ball will be turned over on the spot of the shot.